Order your PAL® graduation cords today! 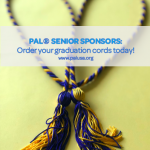 PAL® graduation cords are available for purchase to honor PAL® seniors. * Cords may be purchased for $10 +s/h via the following link. *Note: Students are permitted to wear PAL® graduation cords at the discretion of their school district and PAL® sponsor. Please confirm permission prior to purchase. 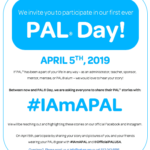 Announcing PAL® Day, April 5th! 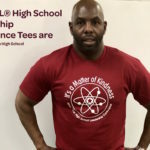 Check out the 2019 PAL® High School Conference Tees! Order your PAL® graduation cords today!Announcing PAL® Day, April 5th!Check out the 2019 PAL® High School Conference Tees!PAL® Innovative Course UpdateWe have a winner! 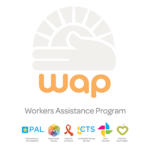 PAL® Peer Assistance and Leadership is an award-winning, Nationally Recognized Evidence-Based Prevention Program owned and operated by the non-profit organization, Workers Assistance Program, Inc. (WAP). PAL® courses use the potential of youth to make a difference in their lives, schools and communities. PAL® recognizes an innate capacity for social understanding, personal well-being, and community participation within every student. PAL® nurtures and builds capacities to help youth increase resiliency and build protective factors to help them achieve school and social successes which lead to a productive life. A versatile course, PAL® creates environments in which youth participate in productive pursuits with peers, using decision making, higher order thinking skills, and resiliency building. PAL® students learn to adapt the power of peer pressure to influence others positively and, ultimately, they make a difference in the lives of others! 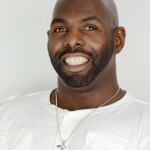 Positive peer influence is utilized as a central strategy for addressing issues like bullying, low achievement, at-risk youth, drop-out prevention, substance abuse prevention, teen pregnancy, suicide, absenteeism, behavior problems, and other community issues. Not only does PAL® address a variety of key youth issues, being a PAL® is also fun and transformational! This curriculum must be implemented by an adult who has been trained and certified through PAL® in order to keep fidelity to the curriculum. For more information on PAL®, feel free to explore our website or call us at 1-800-522-0550.